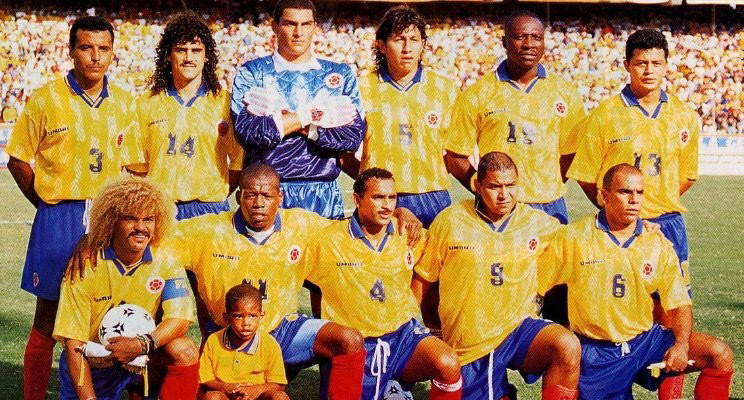 To everyone else, Hugo Galeano (#4) was a Colombian soccer superstar. To my son and our family, he was a defining and positive influence who exemplifies the lasting impact a great coach can make. Hugo’s actions gave me three timeless lessons that I’ve tried to embody when I am coaching other CEOs and their teams. In Colombia, Hugo was a superstar athlete and national hero. He had it all – skill, speed, money, fame. He eventually left Columbia after the 1998 World Cup – years after the tragic 1994 World Cup in which one of his teammates was murdered for an own goal. When we met him in 2001, he was living in Charlotte far from the notoriety he enjoyed in Colombia. He was still playing soccer at the USL level with the Charlotte Eagles but he was also coaching a group of 12 year-old boys. One of those boys was my son. 1. A great coach isn’t focused on himself – he’s focused on the team he’s coaching. Hugo was a Colombian hero and his native language wasn’t English. In spite of his fame and difficulties with English, he clearly communicated to all (kids, parents, and other teams) through his HUMILITY and ACTIONS that this gig wasn’t about him. It was about the kids – individually and collectively as a team. 2. A great coach sees the potential in others and helps THEM see, believe, and achieve it. At first glance, many of the kids assigned to his team weren’t the top athletes in the league. My son was a goalie initially largely because he could wear cool gear and not have to run as much as the others. In one of the early games, he was scored on unmercifully. Yet, Hugo saw potential. He helped my son see the potential he had within himself. Under Hugo’s mentoring, I saw my son develop a passion and belief that he could become a great goalie. He blossomed into an intensely focused, accomplished athlete who excelled as a goalie throughout high school and college. He is now an active CrossFitter. Hugo was the coach whose wisdom, humility, and encouragement unlocked my son’s potential and positively impacted him, his team, and our entire family by his example. 3. A great coach facilitates daily discipline and short-term milestones to realize the team’s ultimate goal. Hugo tapped into the individual and collective goals and dreams of the kids. With those goals and dreams set as the destination, he encouraged THEM to find the drive from within to adhere to the daily discipline of the fundamentals so that when it came time to meet their competition, they were ready. They set long-term goals, worked on short-term tasks, and worked together as a championship team because of it. Does your team have alignment in your long-term goals? How well are they working together on the short-term priorities necessary to reach your long-term goals?